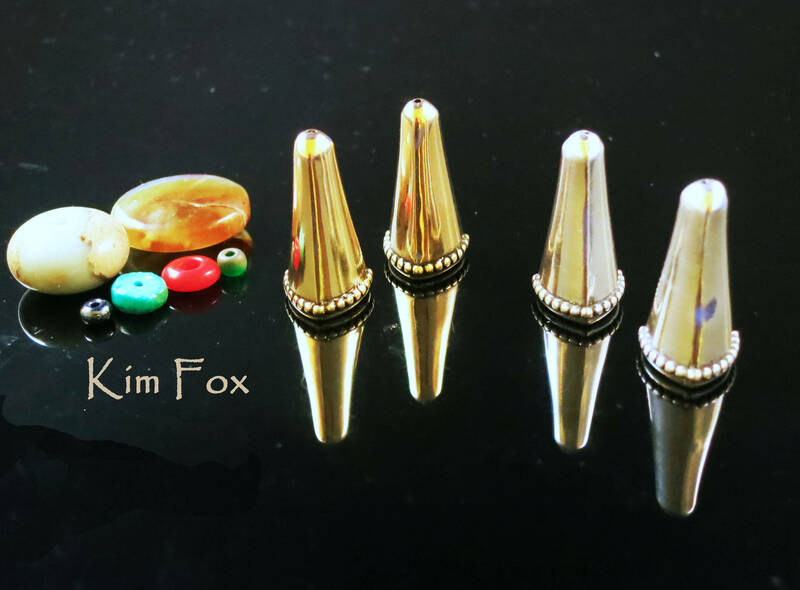 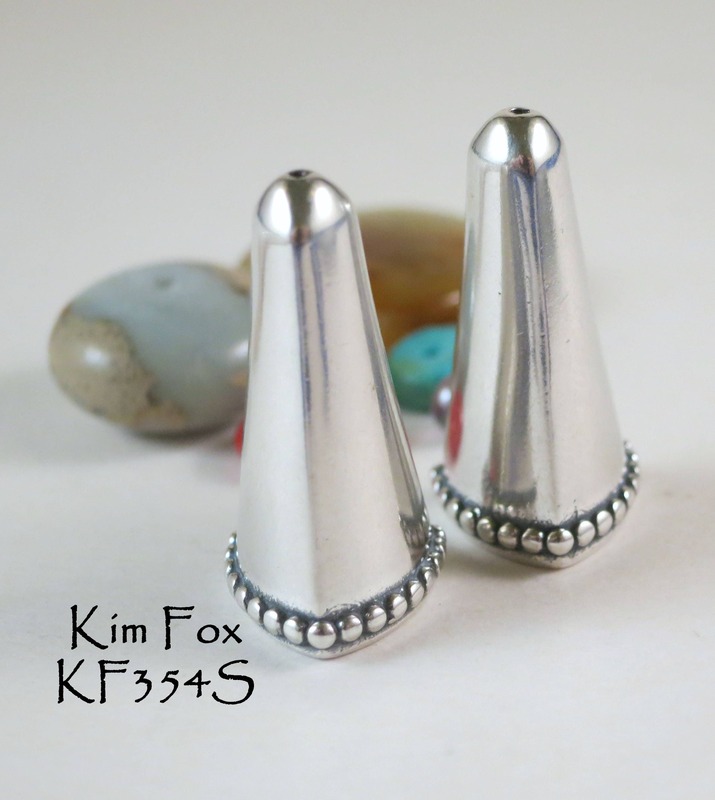 This cone or bead cap pair is triangular in profile with a beaded edge that gives style to any piece that it is used with. 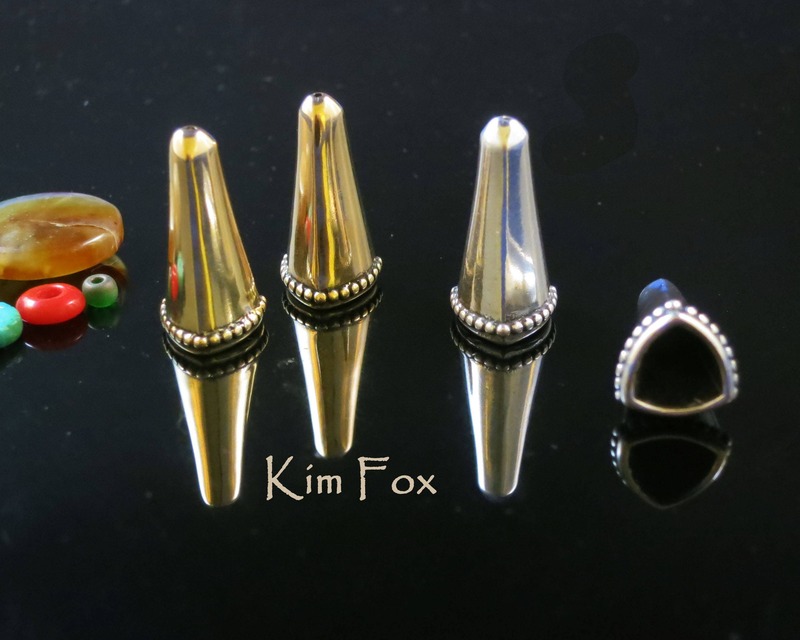 The triangular shape keeps the cone from spinning. 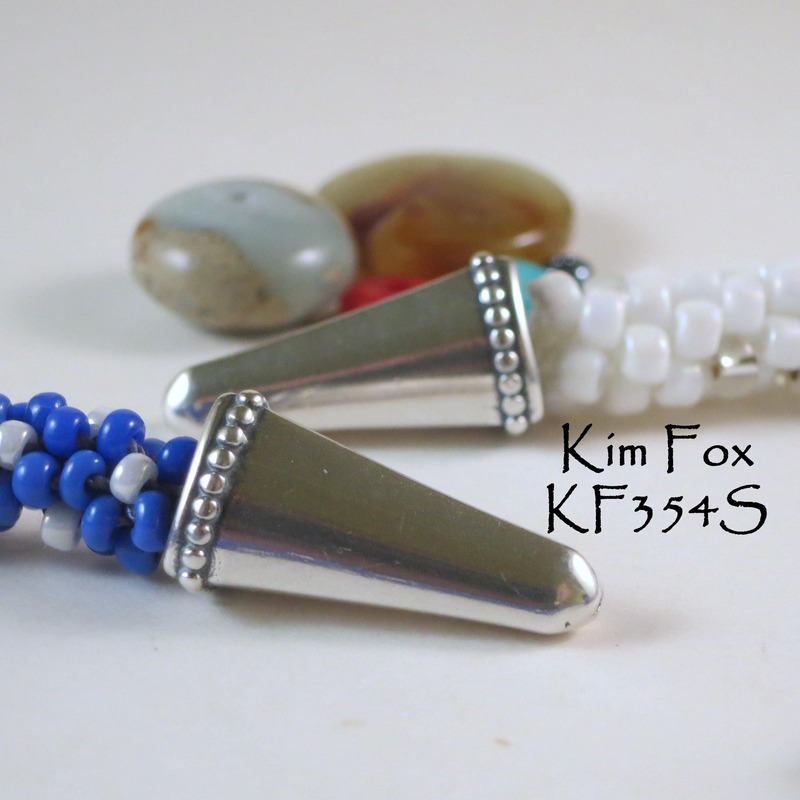 The cone is connected to the piece it is used with by using wire or cord to connect it. 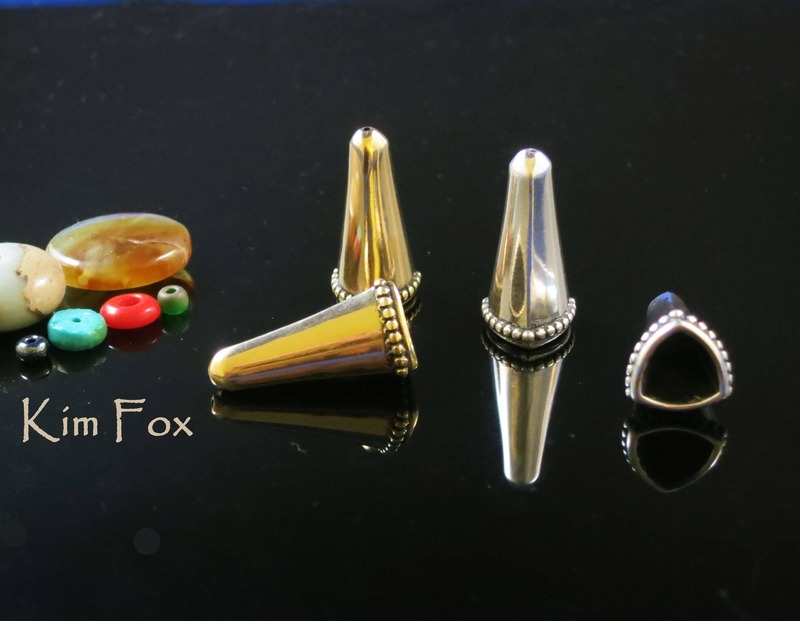 The cones are 1 inch tall with a 3/8 inch opening or 25mm by 9 mm. 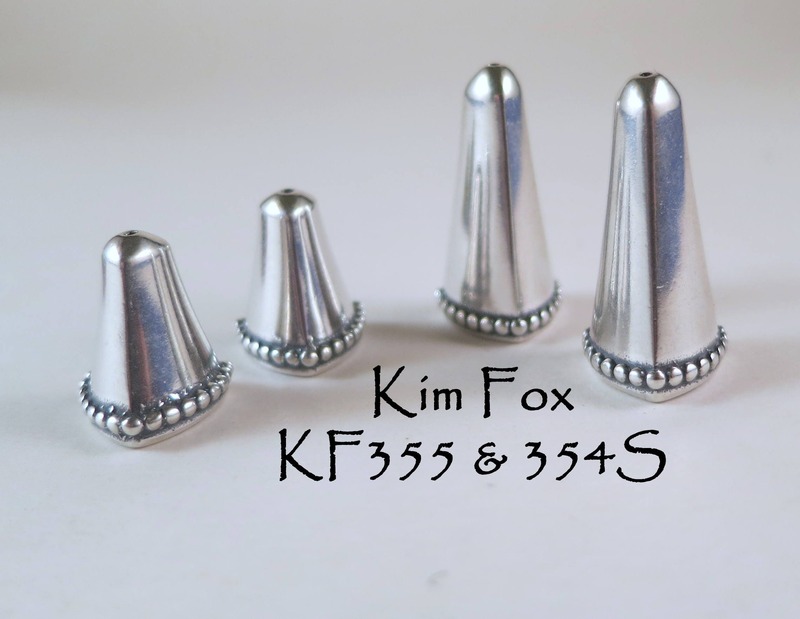 Because of the taper in design the cone can hold more or less as the cone tapers internally to hold the ends. 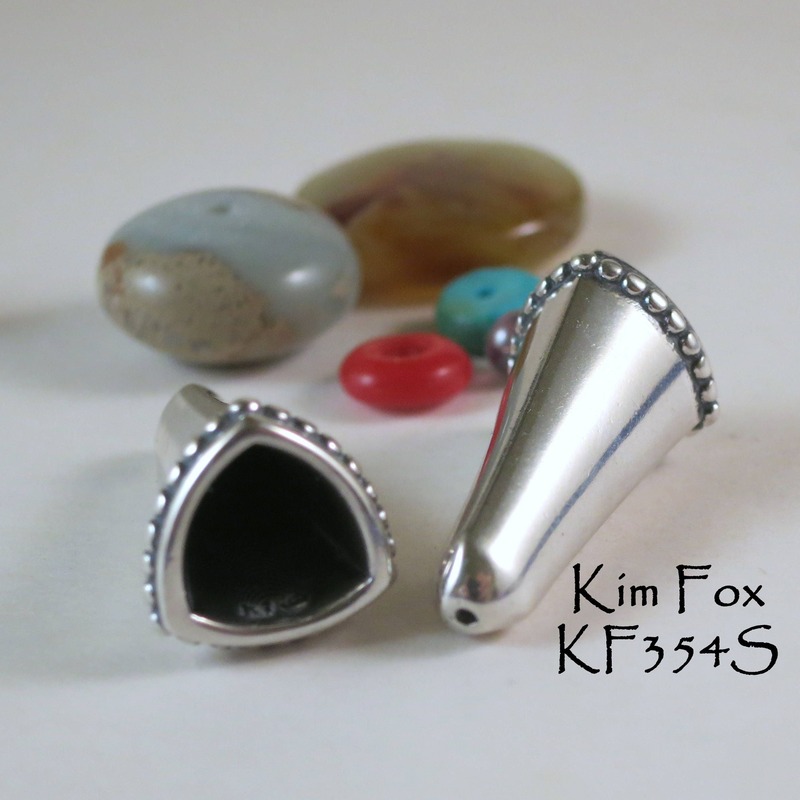 The jewelry components that are designed and manufactured by Kim Fox are lost wax cast in New Mexico.